Gary has a mischevious streak in him, too. At one recent meeting he had slipped a model past us (it was a subject that none of us would have associated with him), and when our president asked the group who built it, Gary quietly sat in the back row, knowing he'd gotten us. 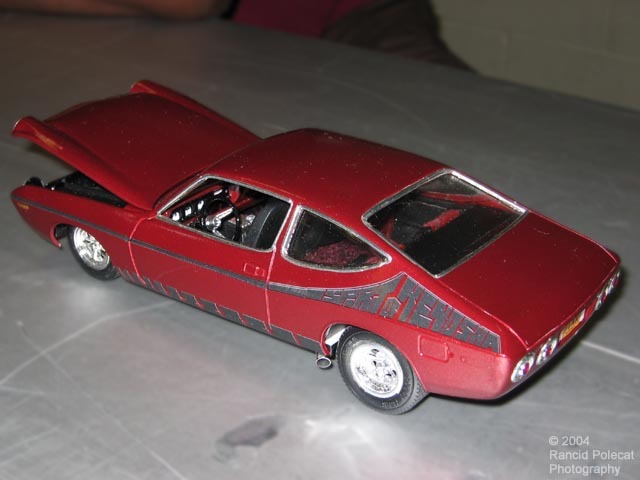 Not too long ago, Gary caught a good deal on a couple of AMC Matador kits at a swap meet in Dunn Loring, VA. Combined with two others he already had at home they formed the basis of a series of four Matadors he's building.